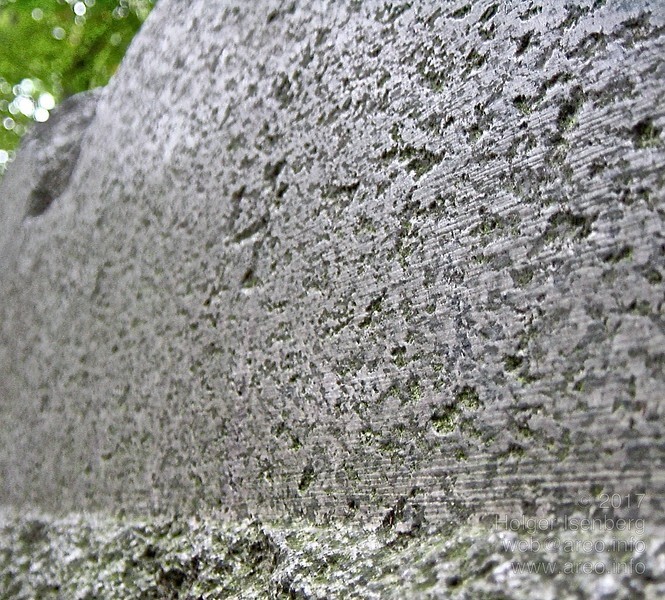 Detail of the sawed surface on the Altarstein. The surface is flat in the long direction and is facetted in 3 parts over the short width from top to bottom. All photos copyright © 2008 - 2018 by Holger Isenberg unless stated otherwise.